Protected: Software Architecture -To Study PCMS – Pegasus ERP Cargo Management System-Release-6 from Architecture perspective. 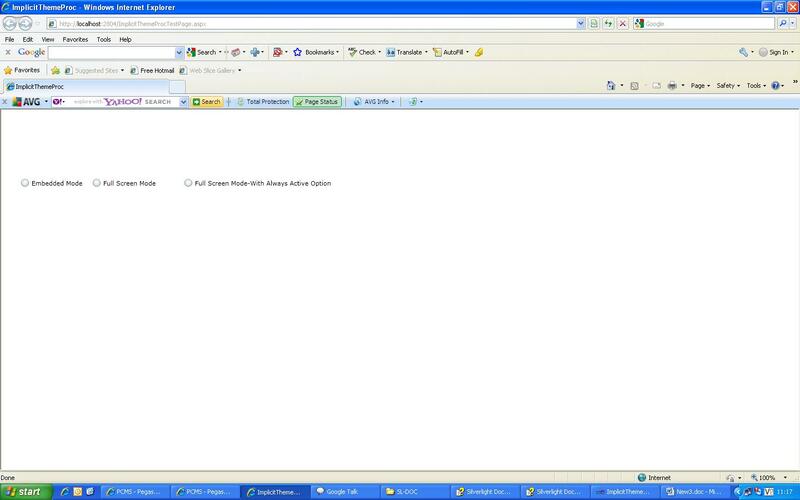 Silverlight supports full screen mode. So there are 2 modes, one embedded mode and second full screen mode. 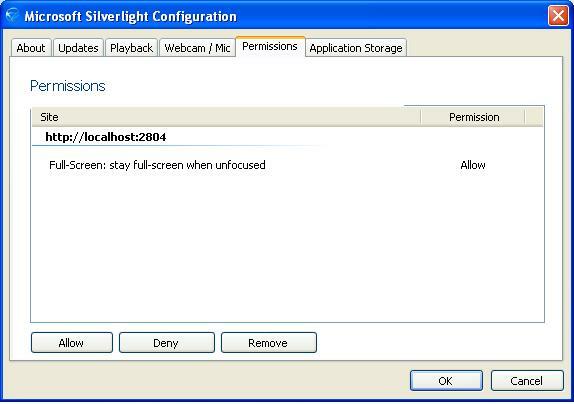 Full screen mode support was already there in previous versions of Silverlight. But in Sliverlight 4.0, we have a new feature by FullScreenOptions property. App.Current.Host.Content.FullScreenOptions = System.Windows.Interop.FullScreenOptions.None; // default value-No need to specify. Thrid button code set full screen mode to true. Secondly, FullScreenOptions is set to StaysFullScreenWhenUnfocused means that full screen mode will be maintained when screen is not active. 2. No OpenFileDialog and SaveFileDialog dialog boxes support. 3. No Multitouch input support. 4. Most keyboard events are disabled. 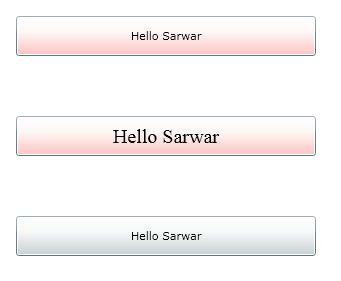 In Silverlight 3, style was supported as by specifying the Style property in the control. One Style can be based on other Style as shown the code below. First button is attached with style named “ButtonStyle”. Second button is attached with style named “NewButtonStyle” which is based on parent style named “ButtonStyle”. Third button is not attached to any style, so it is with any style. With Silverlight 4, now we have implicit style feature which provide functionality to style control by specifying the TargetType property. If Style tag is added with x:Key=”MyStyle”, then implicit style feature will no longer work. WPF was having this implicit style feature previously(Before WPF 4.0), but now Silverlight 4 also has this feature. You are currently browsing the archives for the .Net 3.5 MS Studio 2008 category.